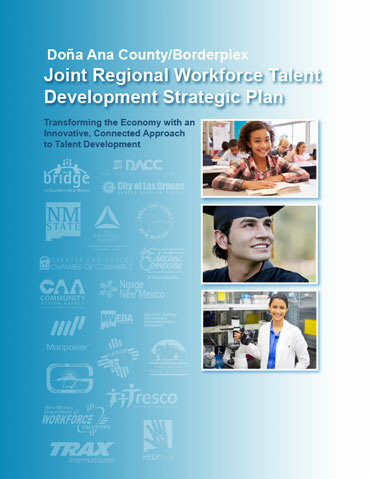 The Bridge’s first major accomplishment was opening New Mexico’s first Early College High School (ECHS) in partnership with Las Cruces Public Schools, Doña Ana Community College, and New Mexico State University. All 112 freshmen students went on to 10th grade without dropping out, and except for students who moved, the first class achieved a 100% graduation rate, boosting the overall district graduation rate by 10%. Eighty-three percent of students earned an associate degree and career certification, and 50 students earned two or three associate degrees. Career-focused, integrated curricula call young men and women to perform beyond even their own expectations. 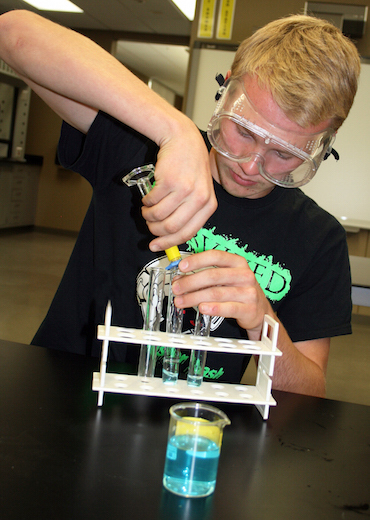 Integration of dual credit courses helps students see that they can do college-level work and pursue higher degrees. Engagement of the business community can help create pathways that are better connected to the real-life demands of careers and set the right expectations for moving forward. The Bridge also played a role in helping launch Alta Vista Early College High School in the Gadsden Independent School District. The school started with a small inaugural class while facilities were in development, but they, too, achieved a 100% graduation rate with their first graduating class. Arrowhead Park Medical Academy (APMA), located adjacent to Arrowhead Park Early College High School, opened in 2014 with 65 students and a curriculum co-designed with key members of the Las Cruces healthcare community. The effort was funded in partnership with an investment from the W.K. Kellogg Foundation. One of the most advanced educational institutions in the state, APMA provides the pathways for students to earn degrees and certifications that will help them enter high-demand jobs in the community upon graduation, as well as continue growing in their skills and education to advance into higher-skilled, higher-paying opportunities. The Early College High School model has become one of the best stories in supporting student success. The model has expanded statewide to serve families and communities across New Mexico. With support from the state and investments by the Daniels Fund, the ECHS model is consistently propelling students toward high school graduation and into post-secondary education.